A study publsihed this week in Science has shown that coral reefs can in fact recover themselves after disaster, when under the right conditions. 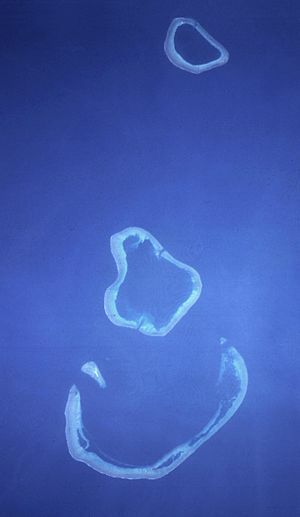 Scott reef is an isolated reef found 250km from the coast of Australia in the Indian Ocean. It suffered a mass bleaching event in 1998 in which over 80% of the coral cover was lost. Dr James Gilmour, the lead author of the study stated that, “The initial projections for Scott Reef were not optimistic”. Before this paper, it was believed that seriously damaged corals could only recover in the presence of nearby coral reefs. Planula are the gametes of corals; they are what forms when the male and female gametes of the corals fuse together, much like our eggs and sperm. These planula are free-swimming and can reach neighbouring reefs and settle. Before the findings of this study were published, this process was thought to be the mechanism by which damaged reefs could recover. Scott reef was monitored for 15 years by the researchers and the findings were very much unexpected. The researchers did not have much faith in the reef recovering to its pre-bleaching state in the near future. However, over the years of monitoring they observed the reef recovering at a surprisingly fast rate considering its isolation and level of damage. Instead of the reef relying on propagules from other healthy reefs, the researchers found that the very few surviving corals were producing planula at high enough rates that self-replenishment was taking place. It was soon realised that these few survivors were growing at such high rates because of the conditions existing in this isolated reef. Because Scott reef is so isolated from other reefs and so far offshore, the levels of human influence are reduced. The water quality at Scott reef is much better than other near shore reefs which receive higher levels of pollutants from the coast. Water quality is linked with the health of reefs and meant that Scott reef had an increased ability to cope with and recover from the bleaching. The reef also received reduced levels of fishing and sedimentation compared to other reefs helping with its surprisingly speedy recovery. The isolation that was initially considered a hindrance for the reef was actually enabling its survival. This work proves that coral reefs can spring back from extreme damage. However, this recover is dependent on conditions. These findings are great for those reefs similar to Scott reef; isolated and with reduced human pressure. However, the majority of reefs do not have these qualities and are still at threat from the ever increasing human pressures. Non-isolated reefs are relatively safeguarded by neighbouring reefs sending propagules, but there is only so much these reefs can take. Even conservative estimations predict that all coral ecosystems could be lost by the end of this century. So although this paper is good news in that it shows another way in which corals can recover after severe damage, the pressures facing coral reefs are ever worsening and need to be addressed.